Equality Illinois Posts Equality Illinois at the Illinois State Fair! Equality Illinois at the Illinois State Fair! 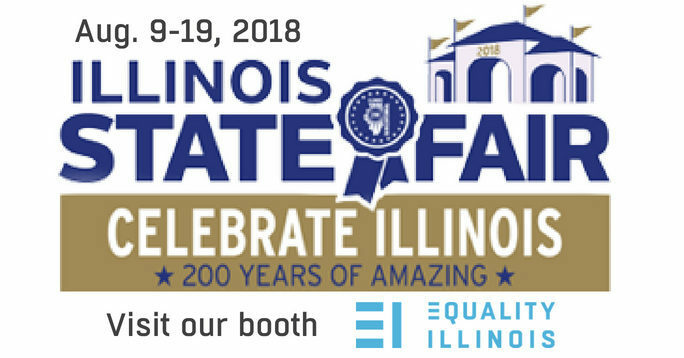 Join Equality Illinois at the Illinois State Fair and “Celebrate Illinois: 200 Years of Amazing!” Grab a corn dog and lemon shake-up, ride the Sky Glide, and visit with our amazing volunteers at the Equality Illinois booth. You’ll be able to take action on policy items, register to vote, and learn about the opportunities and challenges that LGBTQ people face in Illinois.